Rosemary Carlton has dedicated over 30 years of her life to the Sheldon Jackson Museum. Her career there started when she became the museum’s education specialist in 1985. 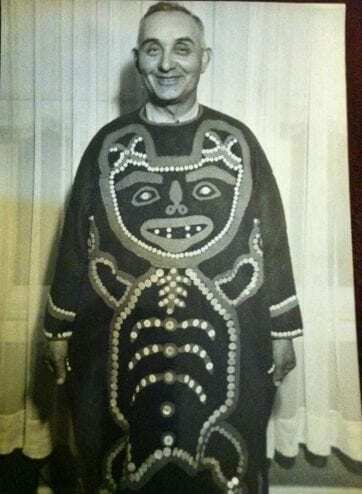 But her love for the museum began much sooner, in 1969 when she moved to Sitka from Washington state to teach at the Etolin Street School, now called Baranof Elementary. A special tour of the museum for educators was her introduction to Alaska and her new life here. When she walked inside, her eyes were drawn to one display featuring black argillite carvings from the Haida Gwaii. Now retired, Carlton is president of the Friends of the Sheldon Jackson Museum, a private non-profit that works to ensure it’s growth and survival. When Carlton learned the Sheldon Jackson Museum and its collection may be sold due to cuts in state expenditures, she was very upset. In his budget, Governor Mike Dunleavy directed state agencies to sell underutilized property in an effort to reduce state spending on upkeep and maintenance costs. As a consequence of this directive, the Division of Alaska State Libraries, Archives and Museums, which operates state-owned museums, “will look to sell or transfer two properties in Sitka: the Stratton Building and the Sheldon Jackson Museum,” according to testimony to the House Finance Subcommittee for the Department of Education and Early Development. Sale of the Stratton Library building may be quite simple, as the space is empty and in need of addition capital investment for repairs and remodeling necessary to make use of the structure. On the other hand, the Sheldon Jackson Museum is near capacity with almost six thousand storied artifacts that once belonged to Alaska Native tribes from around the state, most from regions beyond southeast, which makes its potential sale substantially more complicated and contentious. A few steps away from the argillite carvings that caught Carlton’s imagination is a red and black button coat featuring a bear. This piece of regalia once belonged to Sitkan Frank Price, a founding member of the Alaska Native Brotherhood. Before working to found the nonprofit civil rights organization in Sitka, Price was a U.S. Marshall in Juneau, according to his granddaughter Judy Ross. Her grandmother was Jessie Price, a graduate of Oregon State University and teacher at the Sheldon Jackson College. In 1946, Frank Price was elected to the territorial legislature as a Republican but suffered an abdominal aneurysm before he took office the following year. He passed away in December, on Jessie Price’s birthday. Jessie Price remained active in Sitka politics throughout her life. Before she passed away in 1991, she donated the button coat and other family heirlooms to the museum for safekeeping. Ross is anxious to know what will become of the items her grandmother donated to the museum almost 30 years ago. She worries the sale of the museum would mean the individual sale of the items inside. After the potential sale of the museum was made public, many in the family felt the donated items may be safer with an independent tribal organization, Ross’ nephew Andrew Strobel said. Jackie Fernandez-Hamberg is the current curator of the Sheldon Jackson Museum. Since she started working there in 2013, over 200 artifacts have been donated to the museum, many by descendants of the original owners. Though many may prefer to keep heirlooms close at home, a museum environment prevents damage to delicate artifacts from everyday factors, Fernandez-Hamberg said, like exposure to light, heat and dust. Strobel knows it’s too early in the legislative budgeting process to know if the museum will be sold. But he worries that the possibility of the sale will affect people’s decision to donate family heirlooms as his great-grandmother did. Federal law and a 35-year-old sale agreement may be legal obstacles in any sale or transfer of ownership of the Sheldon Jackson Museum and its collection. The Sheldon Jackson College sold the museum and its collection to the state in 1983. The sale agreement states the collection must stay in Sitka in the original museum, but it’s unclear if that sale agreement still applies or if it would in a new sale. Seven years after that sale, the Native American Graves Protection and Repatriation Act, commonly known as NAGPRA, was enacted in November of 1990. It regulates the treatment and disposition of indigenous burial sites and human remains but also protects other objects of cultural patrimony. NAGPRA requires museums receiving federal funds to inventory Native American human remains, funerary objects and provide summaries of other cultural items. It also dictates that museums must consult with tribal organizations on the disposition or repatriation of remains or objects. If cultural affiliation is established, tribal organizations normally have final say as to how cultural items are treated. The Department of Law did not provide comment or insight into the scope of the 1983 sale agreement, or whether NAGPRA would prevent the sale of the collection, refusing to speculate on proposals under development by the state. 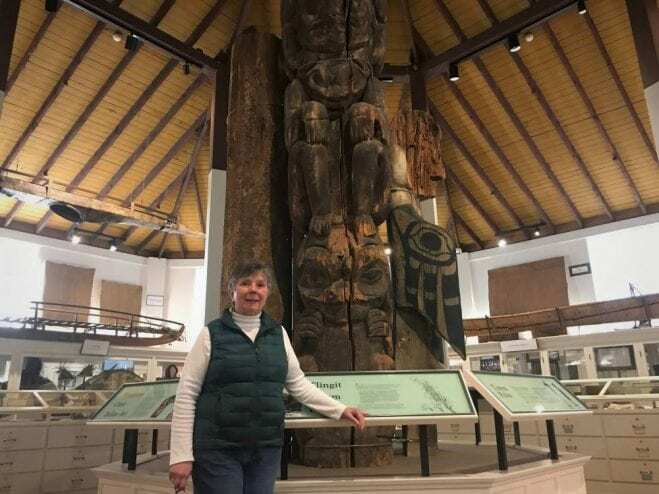 Patience Frederiksen, director of the Division of Alaska State Libraries, Archives and Museums, said there is concern among her staff of “a massive number” of NAGPRA violation claims by Native Alaskan entities. In an email, Governor Mike Dunleavy’s press secretary, Matthew Shuckerow said the administration’s proposed budget “does not call for the sale of the museum or its assets. However, in light of a $1.6 billion deficit, it does call for the removal of state funding for museum operations beginning July 1, 2019. “If this specific proposal were to pass the legislature, the state would work to determine the best options available to keep the museum open without state funding,” Shuckerow wrote. Frederiksen said she was directed by the Office of Management and Budget to look into selling the Sheldon Jackson Museum and its collection in a February phone call but needs to work further with OMB to hash out the details. 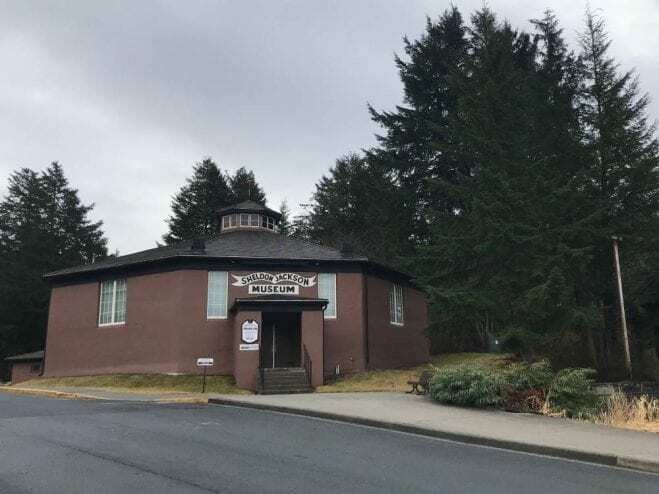 If the Sheldon Jackson Museum is to be sold, Fredricksen hopes to find a buyer in Sitka so the collection may stay in the historic building.